Domestic violence includes any crime committed against someone you have been in an intimate relationship with. A domestic violence charge can come from something as simple as breaking a glass. Because of the intense scrutiny by the police and the courts of domestic violence charges, it is important that you retain a knowledgeable criminal defense lawyer if you are accused of committing a domestic violence crime. A domestic violence conviction can have serious consequences. For example, a domestic violence conviction can result in jail time, not being able to return home, not being able to see your children, not being able to possess firearms, and difficulty in finding employment. 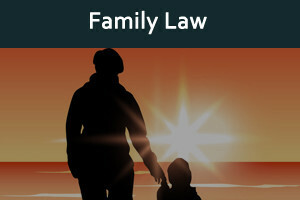 Restraining orders are under the umbrella of domestic violence laws and often arise during family law matters such as divorce. Once a restraining order is issued, compliance can be extremely burdensome by not allowing you to go home or see your children. Furthermore, violation of any part of the restraining order is a crime that can result in a jail sentence. Because of the serious consequences of a domestic violence charge or a restraining order, it is extremely important that you employ an attorney that can protect your rights. I understand the emotions that can cause a restraining order to be issued and I will work diligently on your case to understand the facts so I can make a persuasive argument that the domestic violence charge does not have merit. For more information about domestic violence charges or to schedule a low cost initial consultation with a Loveland attorney please call 970-663-9384 or complete the contact form on this website. The Law Office of Roger Seat LLC serves clients throughout the state of Colorado, including Larimer County, Boulder County, and Weld County, and the communities of Loveland, Berthoud, Longmont, Fort Collins, Windsor, Johnstown, Milliken, Mead, and Campion. This site is not intended or offered as legal advice.